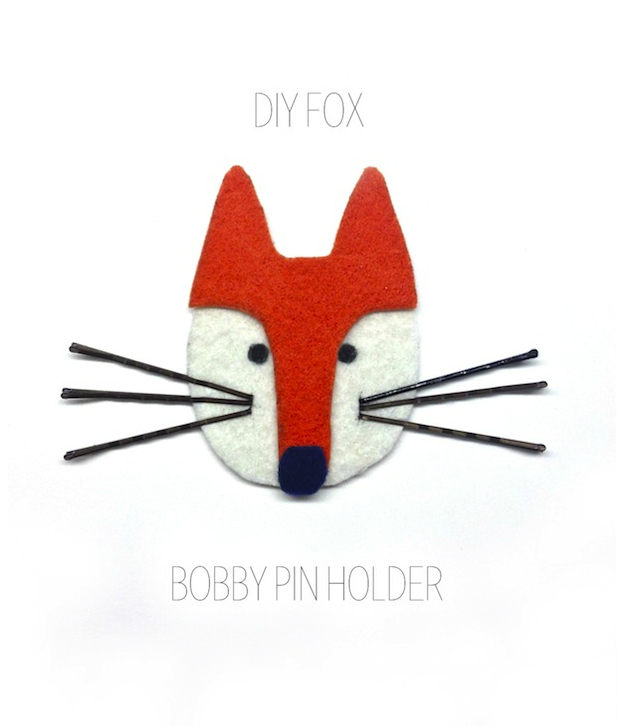 How To Make: A DIY Fox Bobby Pin Holder! Bobby pins have a knack for disappearing. You start with a sleeve of 50 and within a month, they've snuck deep into jacket pockets and couch cushions never to be seen again. If only they had their own "spot." 2. 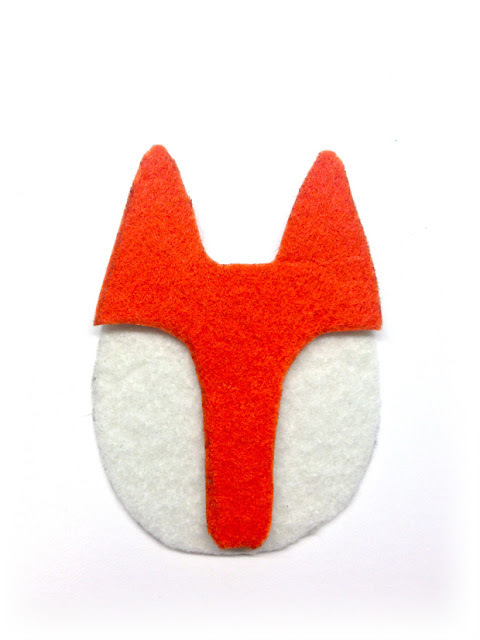 Cut out 1 fox head (minus the ears) from white felt. 3. 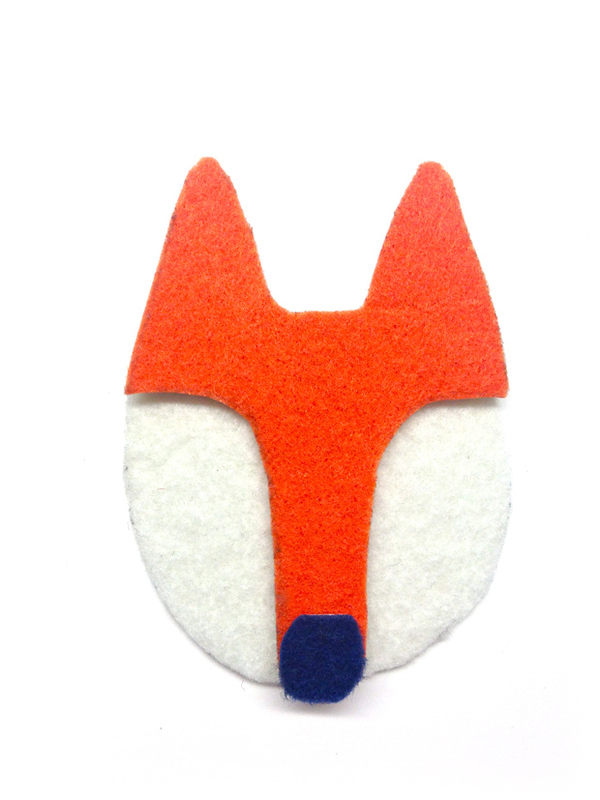 Draw a fox nose onto the orange piece of felt using a pencil. 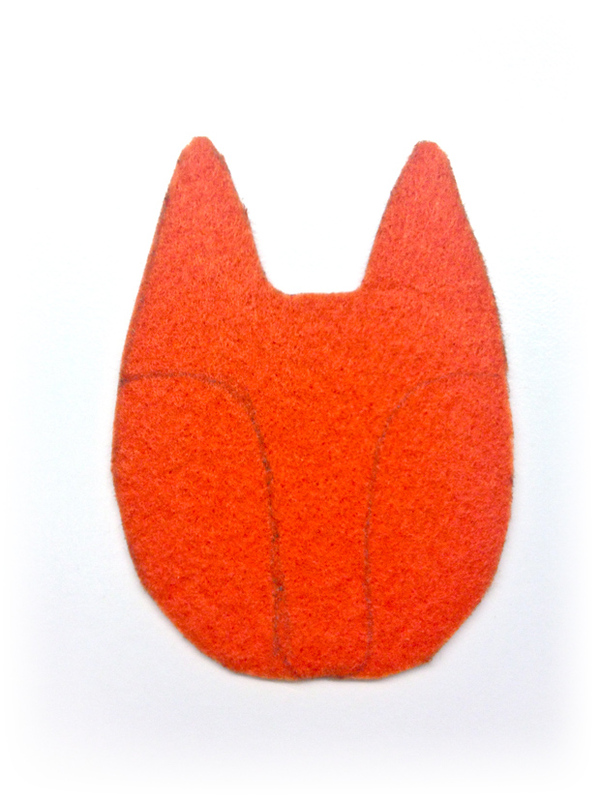 Cut away the excess felt, so you're left with just the ears and the fox nose. 3. Line up the orange ears-nose on top of the white face base. 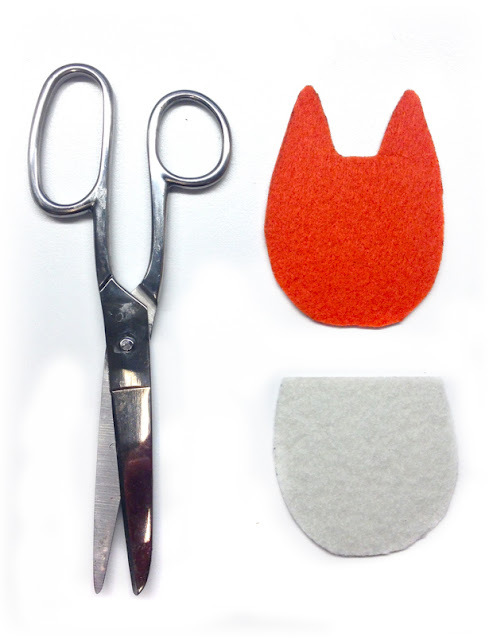 Cut away the adhesive backing from just the parts of the orange felt that touch the white base. Press them together firmly until they stick. 4. Cut out 1 small circle from navy felt for the nose. 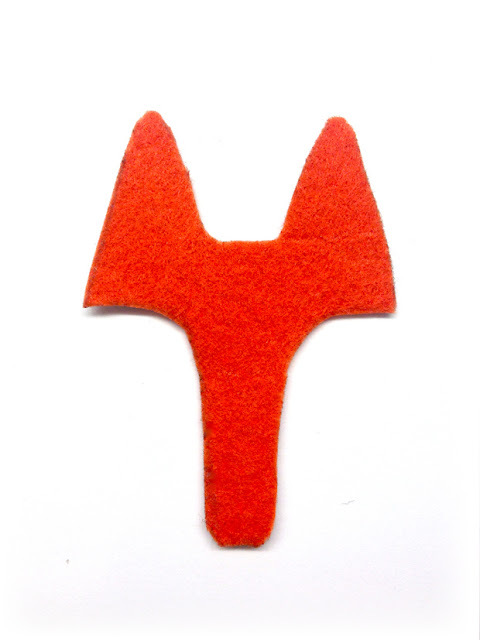 Peel off the adhesive backing and press onto the tip of the fox nose. 5. 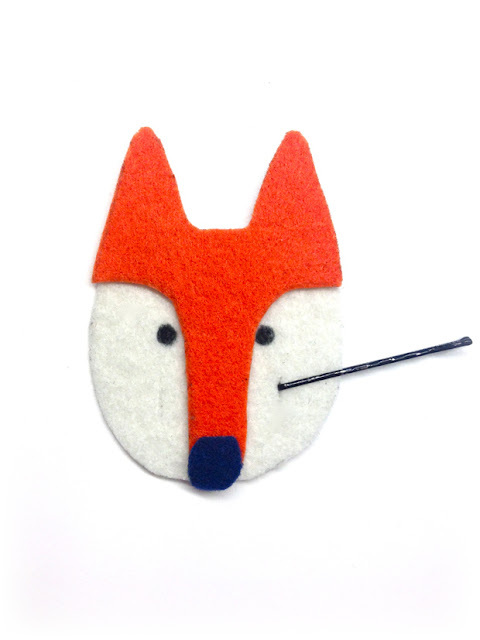 Using a pairing knife, make 2 small slits in the fox cheeks so you thread on the bobby pins. 6. Draw 2 eyes using a fabric pen. 7. If desired, secure the felt by stitching together in a few places using needle and thread. Erin, this is the cutest thing ever!!! I love it!